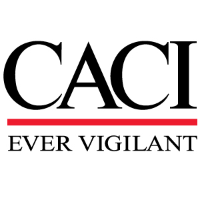 CACI is seeking a Senior Program Manager to support our Air Force C4ISR programs. The ideal candidate will be responsible for planning, directing, reporting and coordinating day to day program activities for both organizational requirements and stakeholder contractual requirements. Provides strategic guidance to teams and project managers/technical leads in ways that promote the company's culture and will be an excellent leader in managing staff of different disciplines to produce results in a timely manner. They will also be able to develop efficient strategies and tactics. The goal is to ensure that all programs deliver the desirable out come to our organization. Perform Project Monitoring and Control, Quarterly Reviews, Project/Resource planning, team tasking, managing direct reports, functional/operational deployment, oversee program risk and issue reporting, maintain excellent customer interfacing and communication, completion of key milestones, deliverables, work products and timely required internal/external reports. Establish baselines associated with cost, schedule and EV reporting utilizing integrated master schedule, CWBS, project specific spend plans, burn rate reports and funds and man-hour deliverables per CLIN. Provide financial baseline/cost account oversight with the customer and corporate administration. Perform direct resource management and matrix planning for organic resources and sub-contract resources. Provide contract administration to include CRDL deliverables, Management Plans, Milestones, Risk and Issue Tracking, Labor Category verification, and customer invoicing within DFAS and WAWF requirements. Provide Sub-contractor administration to include teaming negotiations, technical evaluation, performance tracking, procurement requests and invoice approval authority. Perform Procurement requests include Indirect and Direct purchases associated with infrastructure, licensing and professional services needs that are tracked in accordance with competitive pricing and DCAA requirements. Develop contract pricing models to support objectives in contract Labor, ODC’s, G&A, Fee and Material Handling Costs with a price to win strategy. Provide final review and approval on all contract deliverables to either the contracting officer, the contracting officer representative or integrated operational program manager. Prepare development and outline of company and customer presentation reports. Support direct reports that include; Project managers, financial administrators, business analysts, solution/system architects, information assurance, software developers, research analyst, subject matter experts, technical writers, testers, system/database administrators and configuration manager. As a Program Manager, you must have proven experience leading multiple large, complex C4ISR programs or a portfolio of programs more than $16M/yr and accountable for meeting contractual performance criteria, contractual due dates for service delivery, and successful overall project completion, coordinating activities in support of project activities and teams that support the provisioning, design, installation, maintenance, tracking and monitoring requirements through completion and preparing finished deliverables and Workproducts (e.g., status reports, spend plans to Sponsor, corporate forecast management, open issues, etc.). This position requires 50% CONUS travel. Bachelor’s Degree in Science (Engineering or Computer Science) with twenty years of management experience. Experience in organically growing program and/or portfolio revenue. Experience in Project supervisory/execution experience including supervising personnel and scheduling work. Experience working on programs requiring the design, requirements definition, development, test and evaluation and deployment of software applications. Extensive experience in Microsoft Office and Microsoft Project. Experience with EVM and CMMI. Self-starter and able to negotiate with customers directly. Experience participating in the development of proposals (technical and cost). Experience supervising projects and execution including supervising personnel and scheduling work.